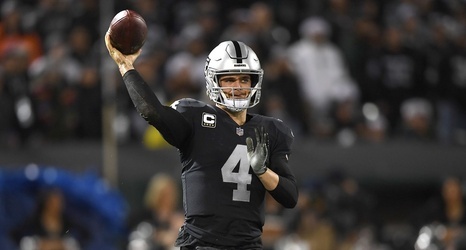 Derek Carr is the future of the Oakland Raiders, at least for this season, as his salary for the upcoming season has been fully guaranteed as of last Wednesday. I love Carr, and I hope he is our quarterback for the next 10 years. However, Jon Gruden is unpredictable, and no one really knows what he wants to do. Carr had to battle through rumors of his career in Oakland ending all season long in 2018, as many believed he could not survive with Gruden as his head coach. All he did was go out and put up some of the best numbers of his career, setting career-highs in completion percentage and yards to name a few.